Not since Andrew Niccol’s superb 1997 thriller Gattaca have I seen a sci-fi film that suspends belief as immediately and effectively as Equals. Monochromatic, antiseptic, remote. Like any birthchild of Orwell’s oppressively pervasive 1984, the movie imagines a distant future where the most primitive aspects of the human design are either subconsciously or forcefully muted to a tone-deaf and shallow existence. But this isn’t typical science fiction per say. No, this is Romeo and Juliet set eons after Shakespeare first touched his quill to the page. Equals is a sensory trip of illuminated love and damaging desires, and despite its glummy gloom ambience, packs a wallop of a punch. Typically futuristic films will start with a sort of preface or introduction to the world and the rules within it. Equals opts not to, infusing the exposition into the scenery and condensed blurbs of dialogue. There’s no definite sense of location, time, reasoning. The movie shouldn’t work. But then I realized that director Drake Doremus wasn’t going for a strict sci-fi tone; this is a love story. If you’ve seen his 2011 film Like Crazy – one of the most unflinchingly honest American romances in recent memory – you have an idea of what to expect. Strangers come to love one another and enter into a crisis situation determined to tear them apart. Didn’t I tell you it was Shakespearean? Silas (Nicholas Hoult) wakes up day after day to the same routine. He may be a prestigious illustrator, but depleted emotions make him no dissimilar than any of the other assembly line citizens. After a suicide jumper lands outside his window, he notices Nia (Kristen Stewart) clutching her fists and disguising anger in her eyes. He’s drawn to her, a statement chock full of irony since Silas draws interpretations of the words Nia writes. Their job titles don’t matter much to the storyworld; we’re meant to notice their actions, not their LinkendIn pages. 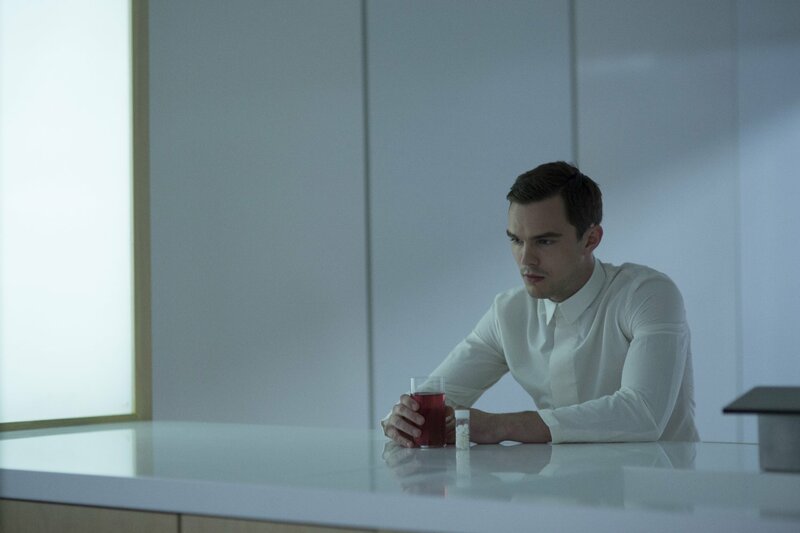 In Equals, emotion plays the role of the villain, the characters utterly terrified of them and acquiring S.O.S. (switched on syndrome). While the beginning really drags out the robotics much longer than necessary, it adeptly sets up an imperfect film about a longing for imperfection. Hoult and Stewart give thoughtful and sincere performances as literal lovesick sweethearts determined to end the negative stigma for the so-called epidemic of coupling. 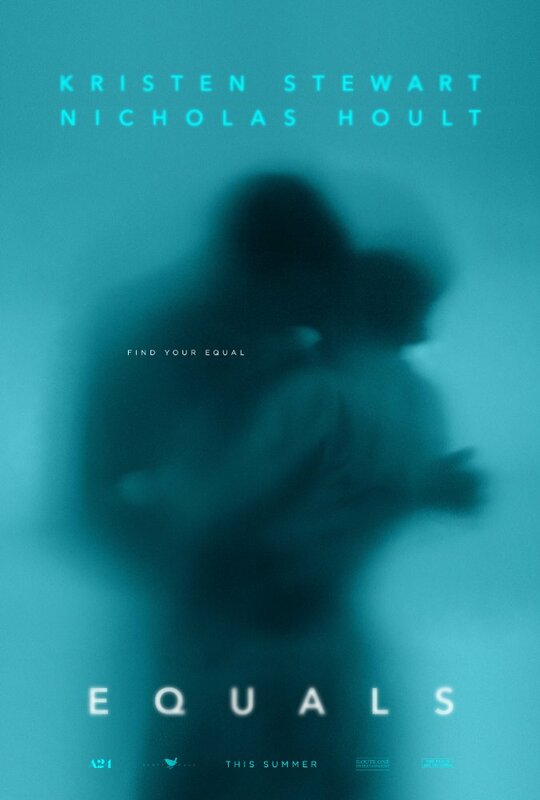 Equals’ evocative production design and sound really charge the film’s intimacy in spots, reinforcing the all-important decision to either experience everything or nothing at all. So, we’re left to wonder, is a life without love worth living? This posits that for those who have experienced it, the retort is no. But it’s not an easy question to answer either, full of different truths that never become universally held. Following Silas and Nia on a path towards a dreamy and hopeful future of possibility, Doremus establishes the kind of partnership you only hear about in wedding vows. Until death, in sickness and in health, for richer or poorer. Equals talks as much as it listens, developing a maturity in thought matched by its youthful intensity in action. We feel what they feel and know what they know.